Swig Flasks makes stainless steel hip flask that distinguish themselves from the run-of-the-mill with high quality premium leather and wool covers. 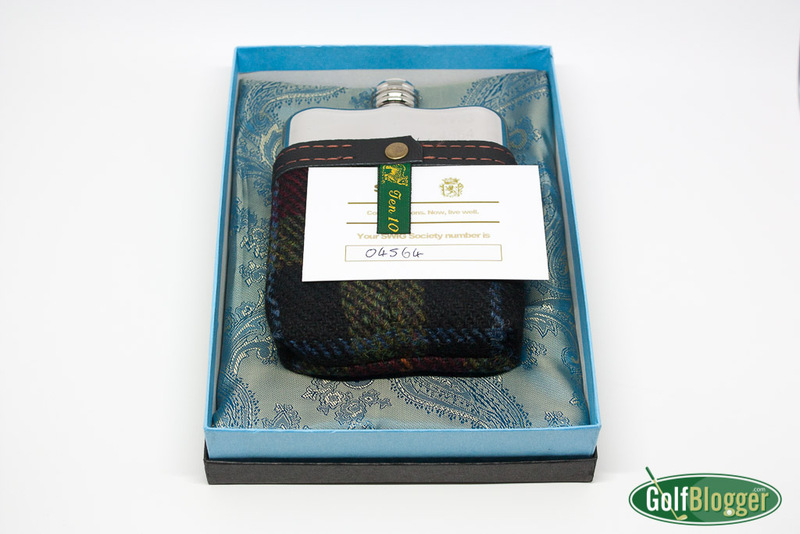 The model I received has a distinguished Harris Tweed cover, which gives it an air of genteel sophistication. 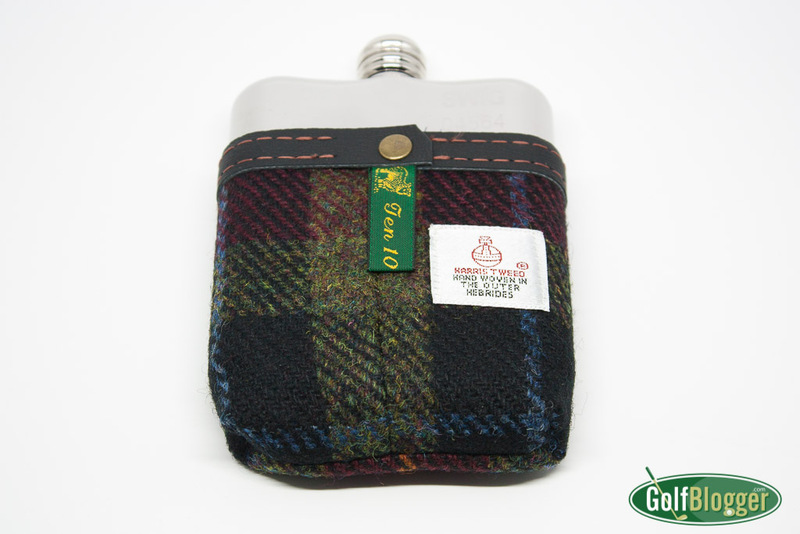 With a tweed cover, you are not a tippler imbibing on the sly, but a country squire warming his chest on a crisp autumn morning. It’s all in the appearances. The tweed cover is well constructed, with a leather edge at the top. The flask comes, numbered, in a very nicely presented box. This is a perfect gift for the golfer in your life, or for groomsmen in a wedding. If tweed is not to your liking (although I can’t imagine a golfer who doesn’t like tweed), Swig also has several varieties of flasks with molded leather covers in colors ranging from dark brown to a really cool looking Union Jack.